I can’t quite believe I am making reference to Barbara Walters on this blog. But, it is related to the goverment theme, so bear with me. Ms Walters recently interviewed New Jersey Governor and Republican presdential hopeful Chris Christie on her show “Barbara Walters’ 10 Most Fascinating People” – which featured an uncomfortable discussion about the Governor’s weight, and how this will supposedly impact his ability as future President of the United States. BW: I feel very uncomfortable asking this question when I’m sitting opposite you, but you are a little overweight. CC: More than a little. CC: If I could figure that out, I’d fix it. BW: There are people who say you couldn’t be president because you’re so heavy. What do you say to them? CC: That’s ridiculous…I don’t know what the basis for that is. BW: I think they’re worried about your health. CC: I’ve done this job pretty well, and I think people have been watching me for the last number of weeks in Hurricane Sandy — doing 18-hour days, then getting up and being just as effective in the job — so I don’t think that would be a problem. A video clip of their conversation cab be found here. One of my first thoughts upon reading about this was that asking about someone’s weight, regardless of their public status, falls within the same bracket as “asking a lady her age”. It’s not done, especially not on national television. I don’t consider weight it to be anyone’s business, and certainly none of Barbara Walters’. Then again, no-one can accuse her of being unaware of the public scrutiny around the Governor’s waistline. * Because Governor Christie is allegedly at risk for a multitude of health problems, he’s just “too unhealthy” to handle the duties expected of the US President. So, Ms Walters is certainly capitalising on public interest here. Predictably, her interview with Governor Christie resulted in a media backlash. However, judging by some of the comments made in responses to articles by The Washington Post and The Huffington Post…the theorists may well be correct. There were several commenters that were supportive of Governor Christie, but many, many others who stated that he would not be a suitable POTUS candidate, as he’s just too fat, too sick, it’ll be too stressful on his body, and he just won’t look good on television. Before he even considers running for POTUS, they say, he should get bariatric surgery first. Or go on The Biggest Loser as a contestant. The fact that the American public seems so adverse to voting for a fat President isn’t entirely surprising. It took until 2008 for the US to vote for a black President, for example. They have voted in only one President with a physical disability – Franklin Delano Roosevelt, who had polio. They have never seen a Hispanic, Asian, Native American (with the exception of Charles Curtis, who was Vice President), Jewish, openly gay or female President. Or an atheist President, for that matter. The only significantly overweight president was William Howard Taft – but he left office in 1913, well before the modern age of television. So…I’m not entirely sure if Americans are genuinely concerned about his “inability” to manage in the White House, or are simply intolerant to anything, in our appearance-obsessed society, that veers too far from the mainstream. 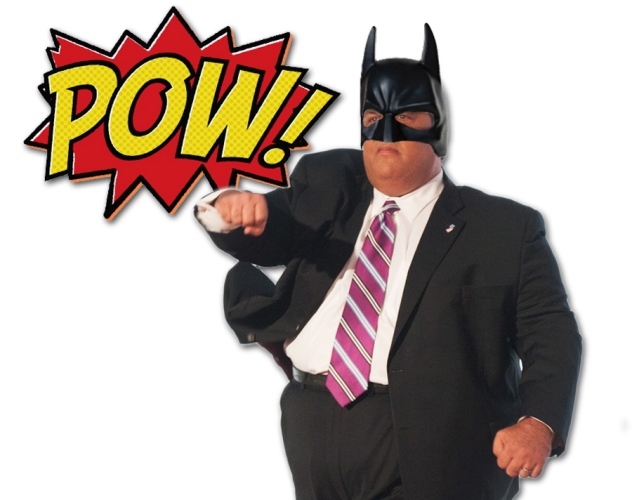 As for his career, Governor Christie has had a busy time of things. His Wikipedia entry (linked at the start of the post) tells us more but, so far, he has worked as a partner in a New Jersey law firm, was a lobbyist with the same law firm, ran for the New Jersey Assembly, was US Attorney for the District of New Jersey (where he was praised for his high rate of corruption convictions), was a top fundraiser for George W Bush’s 2000 election campaign, has served as New Jersey Governor since 2010 which included, as stated in his interview with Barbara Walters, seeing the state through Hurricane Sandy. I do not doubt that the role of POTUS may come with a bit more stress and responsibility. But, this career has shown him to be capable of holding down some extremely demanding vocations, in spite of his physical stature and issues with asthma. Certainly not what one might expect from a lazy and inactive person. From reading about Governor Christie’s politics, I cannot say that I would vote for him, were I an American. I am more liberal in my sensibilities, and often find myself at odds with the Republican Party ethos. And I would hope, come 2016, if Governor Christie does run for the White House, that Americans vote for the candidate whose policies they believe are best for country. Not on the basis of appearance or perceived health risks of which they have no proof. If America can forgive a President who publicly lied about his sexual dalliances with his intern, then surely they can give a larger man a chance at the White House? Only time will tell. « Free fruit for all? As I recall, Bill Clinton got a lot of flack for his weight, and was very public about dieting and working out while president, to keep his Elvis Presley-like cravings in check. So in theory, it is possible for a modern American president to be something other than thin, but the weight loss hysteria is even worse now than it was then, so that leaves us with ridiculous situations like this one. Just a note — Barbara Walters has a tendency to make her interviewees cry, so maybe that’s what she was going for. I think Christie did a great job after Hurricane Sandy, but otherwise, his politics are too conservative for me and I would not vote for him. I do, however, take offense when his size is insulted. David Letterman is always calling him “Fat Boy” and it really pisses me off. Speaking of the atheist thing, when I saw photos from the swearing in of President Obama and Vice President Biden this week, I briefly thought, wait, but what if someone is an atheist? Why should they have to swear on a bible? And then I remembered that a fat, Jewish, transgendered individual probably has a better chance of being elected President of the United States than an atheist. Heh. Sad.